Watching TV is an inevitable household activity…you can’t stop your kids from watching TV but you can choose what they watch. Your kids will spend a lot of time watching TV, playing on their iPads and scrolling through the internet on their phone….and while this is completely different than how most parents grew up, it is the harsh truth of childhood today. Most parents grew up playing in playground, hanging around the neighborhoud and spending time at friend’s houses. 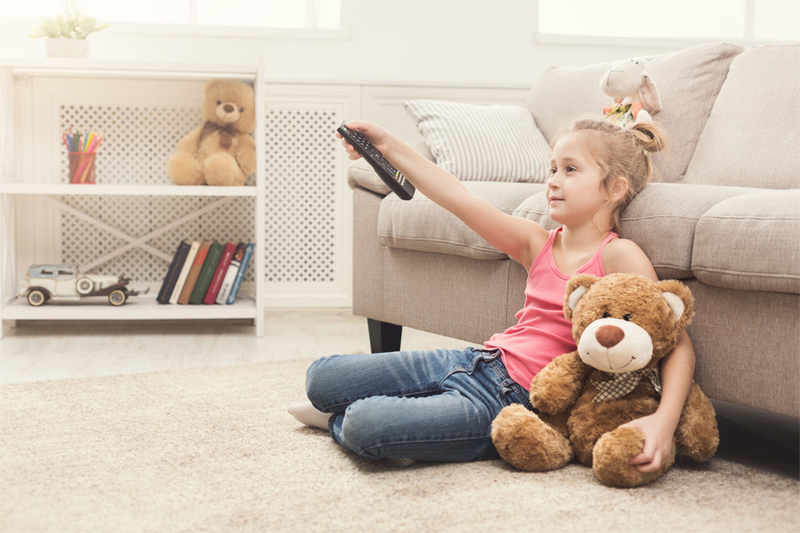 Nowadays, with more and more TV shows and YouTube segments, your child is most likely to spend more time indoors than outdoors switching through the TV channels. But lose no hope, watching a few shows here and there won’t stunt their comprehension – if you choose the right ones that is. The next time your child wants to unwind at home, why don’t you choose one of the following TV shows that will teach your child good and valuable lessons and still be entertaining enough for them. An all-time classic, this interactive children’s educative TV show will engage your child’s learning and critical thinking. This show follows the adventures of a little curious girl called Dora who, with the help of her monkey boots, backpack and animated friends, sets off on educational journeys. Whilst on her adventures, Dora asks for the viewers’ help in solving problems, puzzles and mysteries that she may face on the episode. Giving a few seconds for the children to answer, she then mentions the right answer and encourages an interactive experience. This educative show might not be intentionally aimed for the younger audience but it will teach your children all about earth and living beings. If your child is obsessed with all things facts related, then they will appreciate the storytelling nature of this educative show. From the icy locations in the north to the dry lands of the south, a narrator takes the viewers on a journey across planet earth – each episode offers stunning HD footage of mountains, plains, jungles, caves and fields of ice that are just mesmerizing. Your children can feed their curiosity with knowledge and facts about the planet we live on and teach them valuable lessons meanwhile. A classic in educative TV shows, this children’s series follows a curious little monkey that teachers many good things to the kids – George the monkey teaches the children about curiosity, leaning, consideration, loyalty, empathy and love. The show isn’t only centralized around curious George, towards the end of the episodes the children get to explore the world and apply what they’ve learned in that episode with the help of the character. Aimed for pre-school children, this show is very popular because the show’s main themes are about learning, forgiveness and playful curiosity – the curious monkey manages to engage and appeal to the kids and the adults. This is very familiar to you parents because most of you remember this iconic TV show whilst growing up. Sesame Street is a staple educational show in probably every household – the furry monster friends interact with each other and also manage to teach valuable life lessons through these interactions. The furry friends of Sesame Street are colourful, bubbly with large personalities and each character has a different persona, which will help engage your child. This American educational children’s series combines live-action, sketch comedy, animation and puppetry centralized on a city street bustling with valuable learning opportunities.